Of course it’s wonderful that Griffith is keeping her job, but this positive outcome does not erase the school district’s woeful mishandling of book challenges. She told Doctorow that other books have been challenged in the past “and the process is never invoked.” If Superintendent Thomas’ apology was truly sincere, then he needs to ensure that the judgment of professional teachers and librarians in his district can no longer be second-guessed by a single biased administrator. The challenge policy exists to protect everyone involved–including the school district–while ensuring that any concerns parents or students may have about certain books are considered equitably. 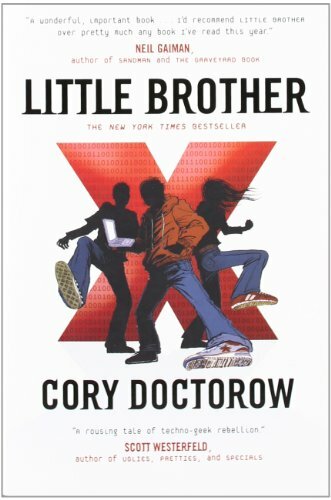 When I learned that Little Brother had been struck off the school reading list by a principal who hadn’t even read it, I was outraged, but I didn’t think there was much I could do. After all, without a strong teacher’s union, and in a time where jobs are scarce, I could hardly ask the faculty to take on their boss on my behalf. But what Ms Griffith taught me was that teachers, even those who face dismissal and the breadline, are fearless when it comes to their kids. Ms Griffith knew that she was in the right all along, and was adamant that she would not be intimidated out of speaking out for what was right. The students of Booker T Washington High are fortunate indeed to have such a brave and principled woman running their English department. CBLDF couldn’t agree more! Many teachers across the country already do speak up when books they assigned are challenged or banned, but we hope that Griffith’s example inspires even more to face down administrators who ignore policy.